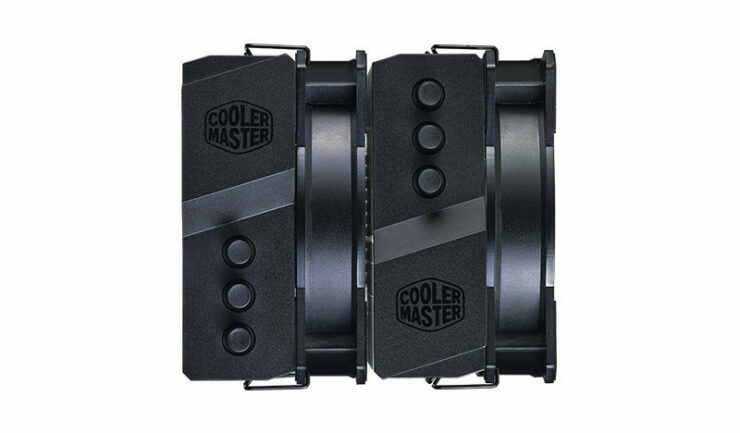 After their recent Case announcements Cooler Master today has also introduced the Master Air MA620P and MA 621P that they say will push the performance of air cooling beyond that of AIO liquid cooling. 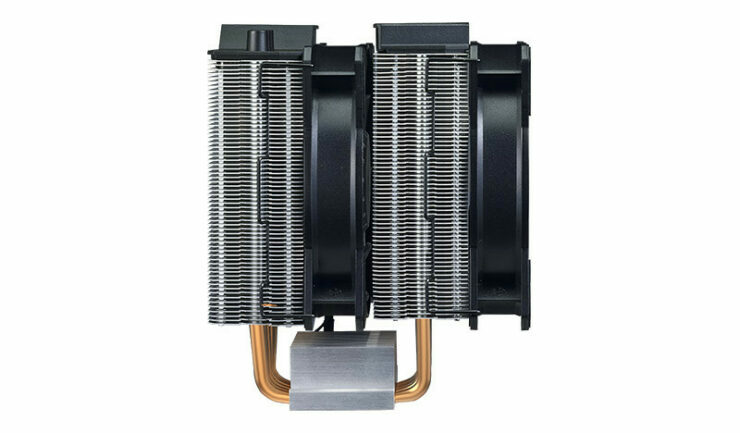 This heatsink is a combination of two built heatsinks with CDC 2.0 technology and two MasterFan MF120R RGB that they say will be able to transfer heat at extremely efficient levels This cooler The MasterFan MF120R RGB are also certified to work with ASUS Aura Sync, Gigabyte Aorus RGB, MSI Mysticlight and Asrock RGB by each manufacturer to work with their motherboard RGB sync. MasterAir MA620P and MA621P TR4 edition (For Thread Ripper TR4 socket CPUs) supercharges your CPU cooling by doubling the surface area by combining two heatsinks each accompanied by two MasterFan MF120R RGB to ensure enough air pressure brings out the heat quickly enough to continually remove heat from the CPU. An optional 3rd fan is possible to take you to the next level. 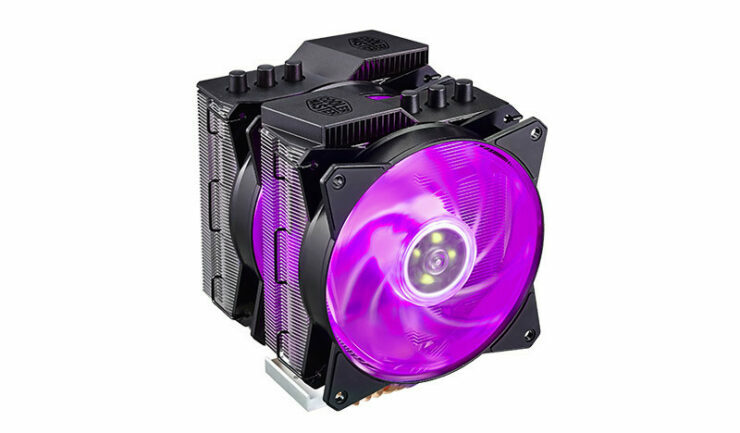 MasterAir MA620P and MA621P TR4 edition come with two MasterFan MF120R RGB and a RGB controller. You have the option of controlling with a click of a few buttons to set the color, intensity level and effects or use the software from the motherboard manufacturer. Because Cooler Master RGB fans are fully compatible with ASUS, Gigabyte, MSI and Asrock, you are guaranteed that full system sync of RGB is possible. Pricing and availability has not been announced, but we did reach out to CM for an answer. We will update the article with any new information.